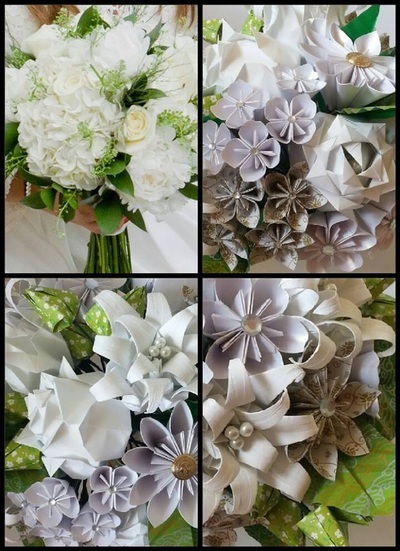 Aside from the arrangements seen in my wedding and gallery sections, I am able and happy to create bespoke bouquets or accessories to cater for your needs. 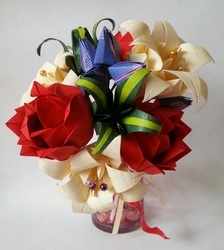 This could be a particular assortment of flowers or colours or both. 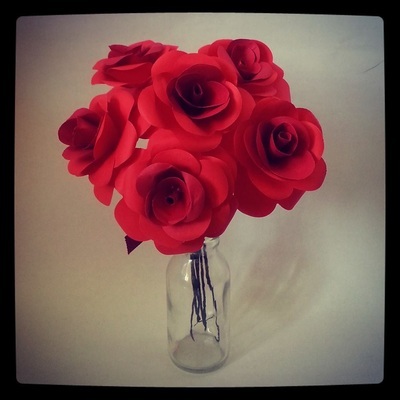 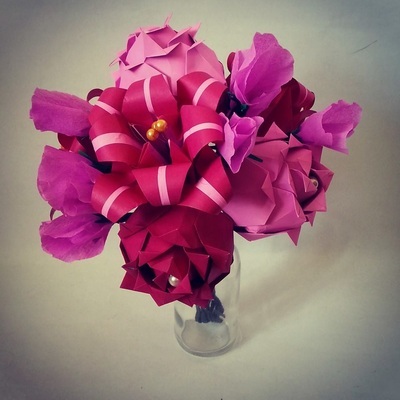 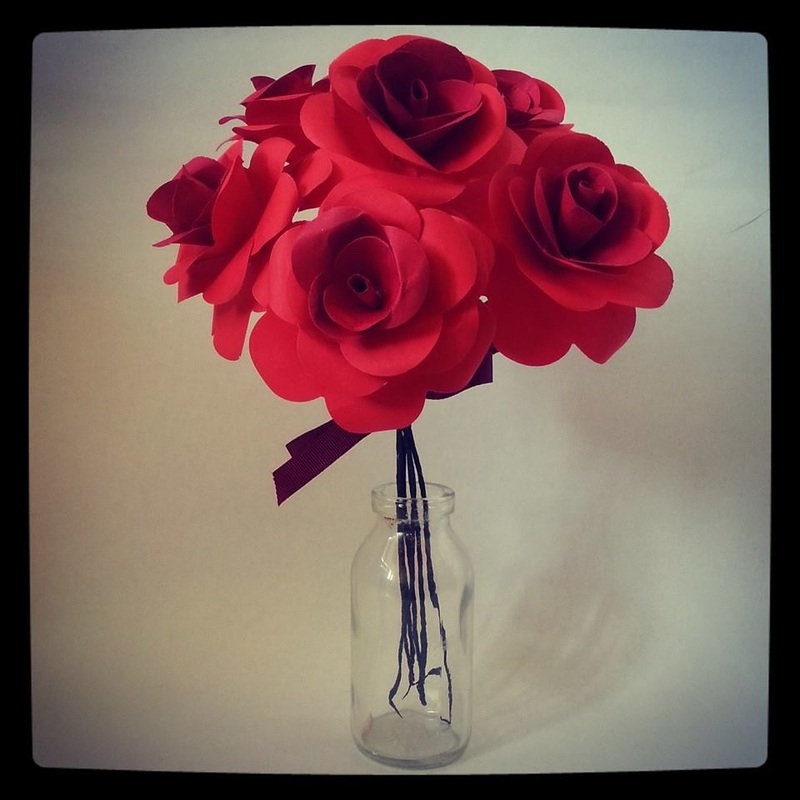 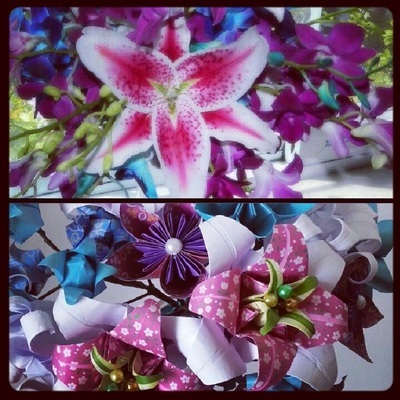 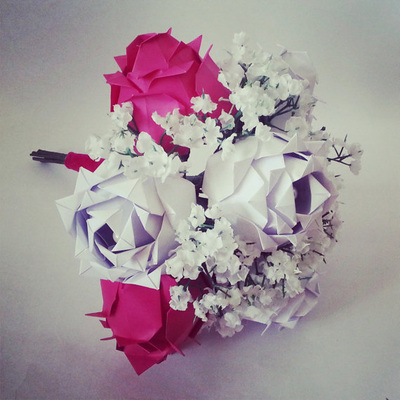 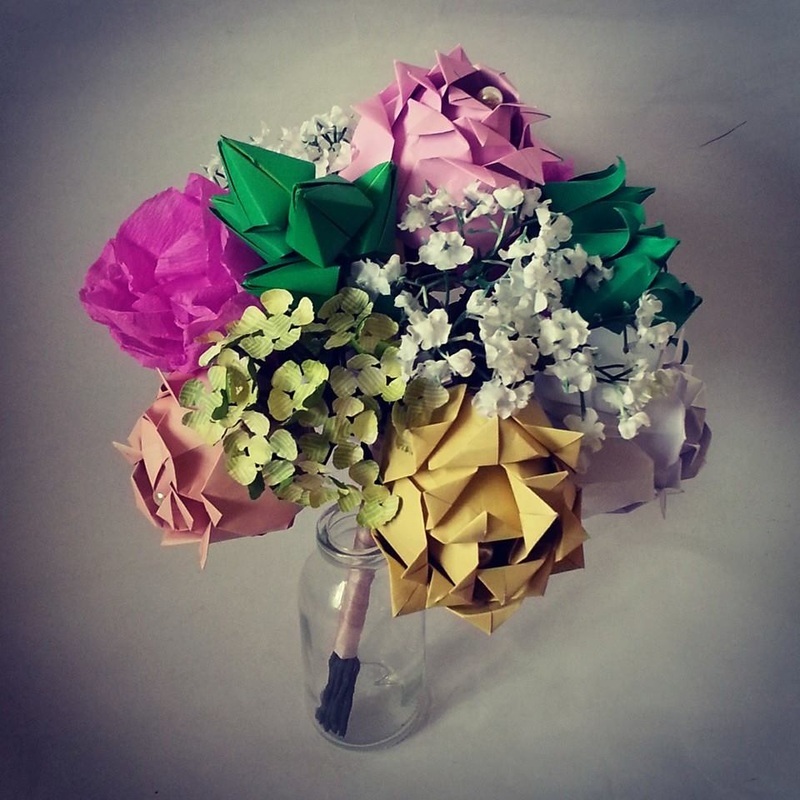 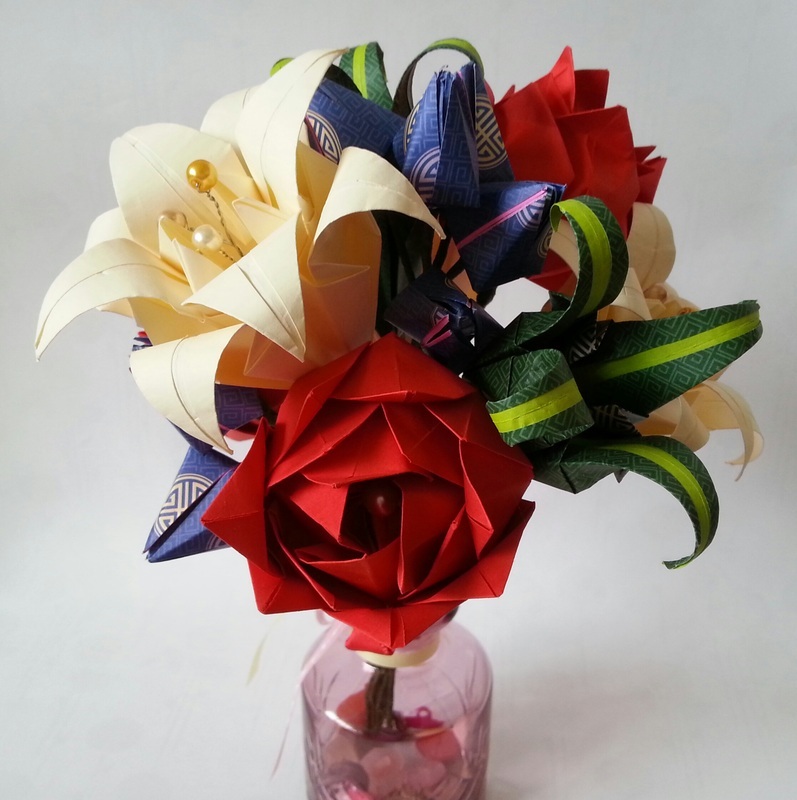 It could also be a recreation of your wife's wedding bouquet in paper or a recreation of your husband's buttonhole. 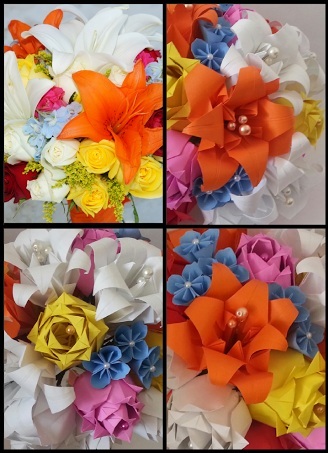 Below are a few images of a mixed bouquet of ten flowers. 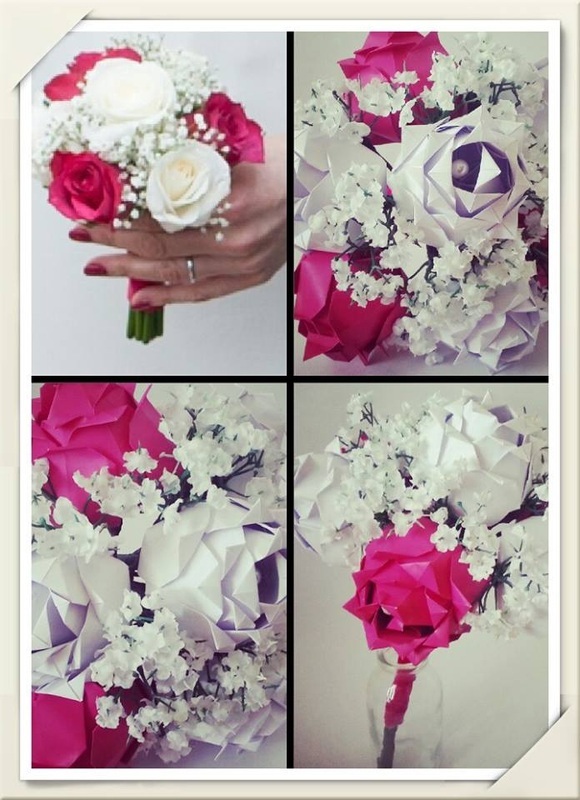 Prices from £35.00. For full recreations and large bouquets, prices may increase to £60-£85. I am also able to create bouquets of roses in any colours you like. 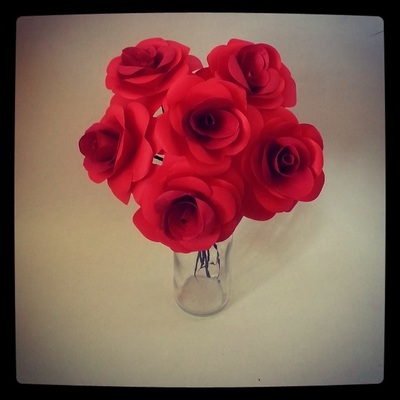 My rose posies can be purchased via my web shop here *click*. Please contact me to discus any queries you may have. Above six photos show examples of my standard anniversary bouquet. 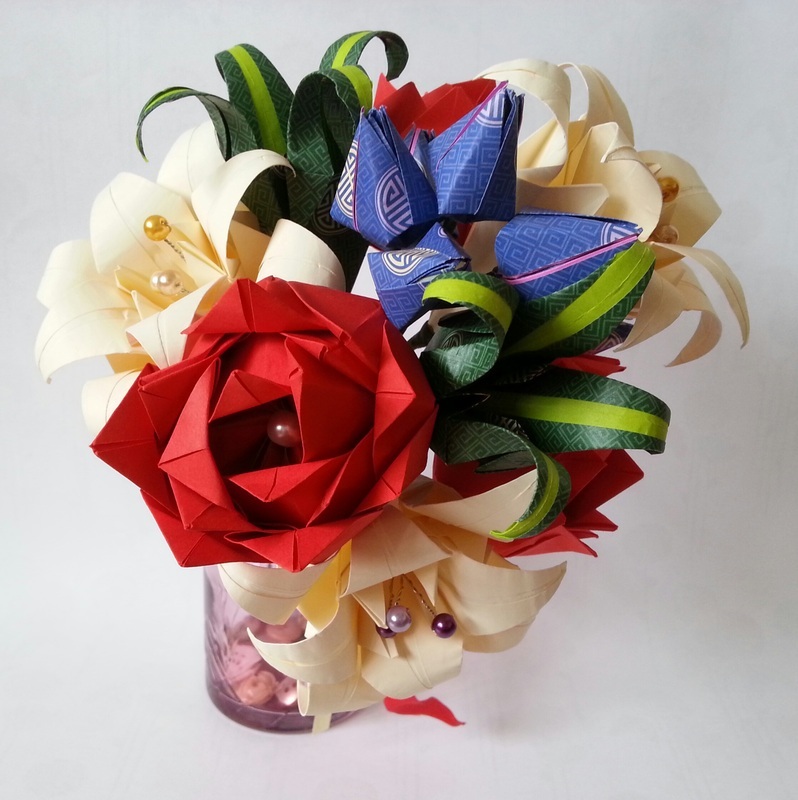 It can be created in any colour of your choice. It can also be purchased in my web shop here *click*.